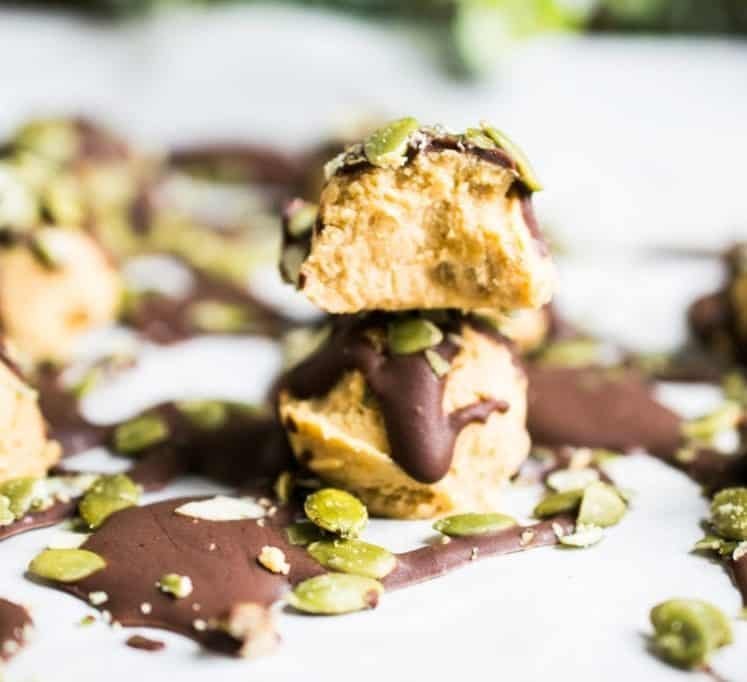 Decadent little, buttery bites of spiced pumpkin with a decadent chocolate drizzle and pumpkin seeds for crunch. 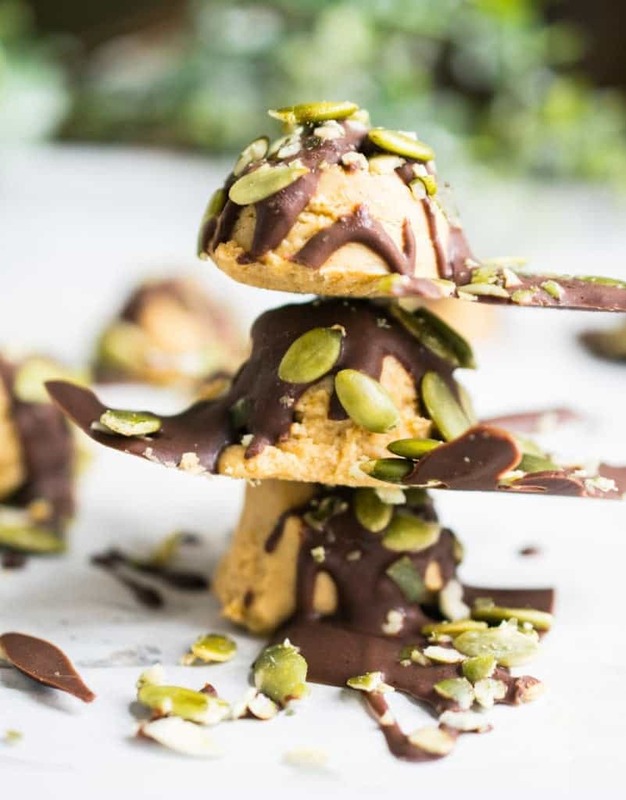 These fat bombs are perfect for Fall or even Halloween! I’m not that Pinterest-y myself… but you can make the chocolate drizzle look like spider legs! What a cute Halloween treat! 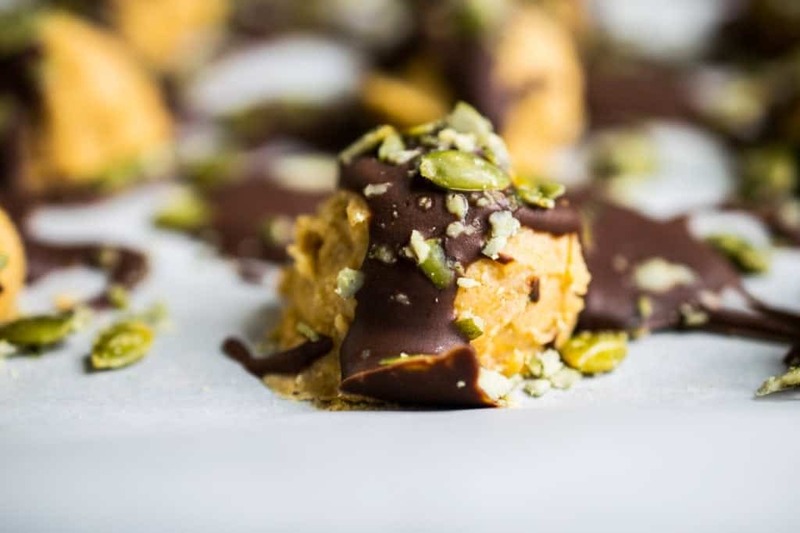 The delicious chocolate pumpkin truffles are PHAT! 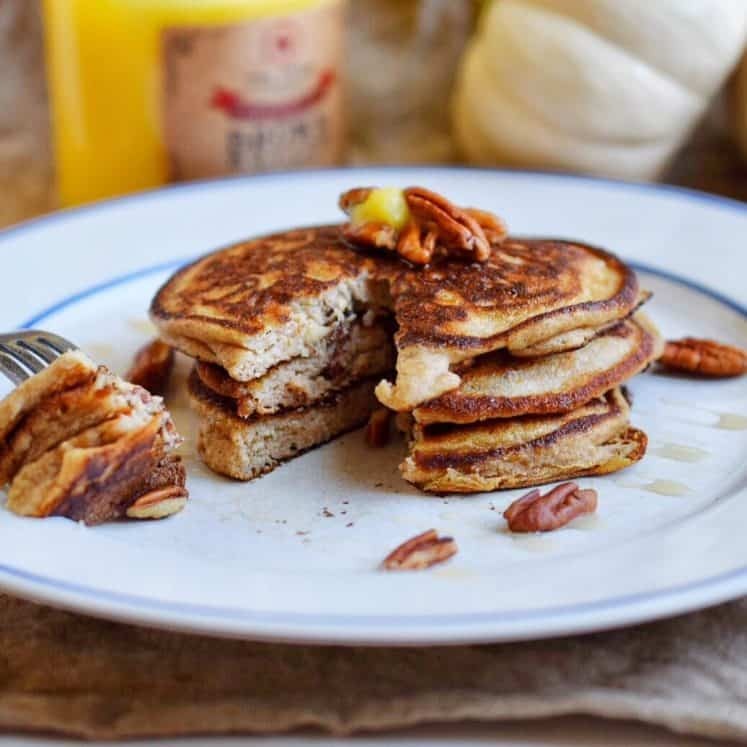 Made up of grass fed butter, extra virgin coconut oil, and organic pumpkin puree. Blended till creamy perfection. 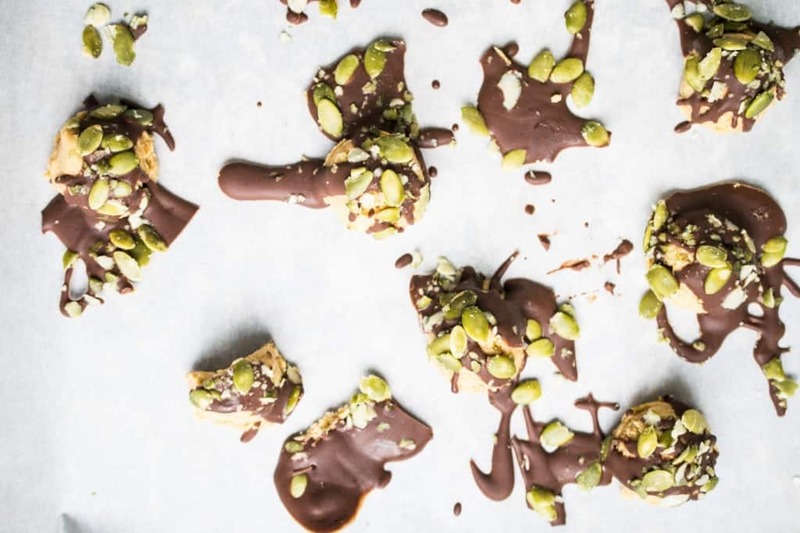 Lightly sweetened and covered in a chocolate ganache made with my favorite sugar-free chocolate. If you haven’t discovered Lily’s, I’m about to change yo- life. This high-quality dark chocolate is sweetened with stevia and a little erythritol. It comes in baking bars, chocolate chips, and delicously flavored dessert bars… Dark Chocolate Almond anyone? 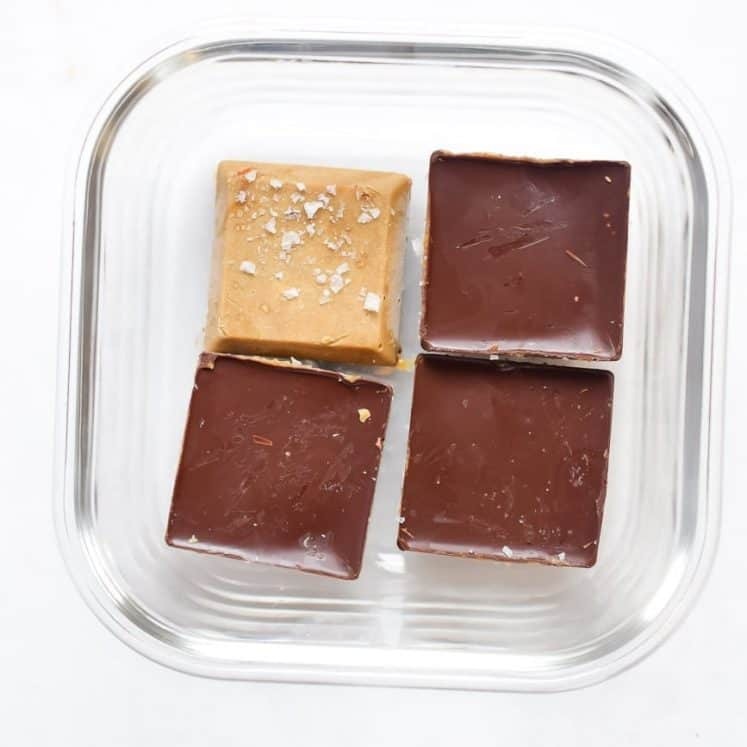 My favorite no fuss treat is a square of the baking bar with a smear of ghee and a sprinkle of salt. Oh- EM- GEE. If you’re not doing butter you may use ghee for this recipe. If you’re not doing ghee, you may use coconut butter. I like the Nutiva Coconut Manna. Make sure it’s well and mixed up. You may have to heat it up a bit to get it the ideal texture. But it will work. 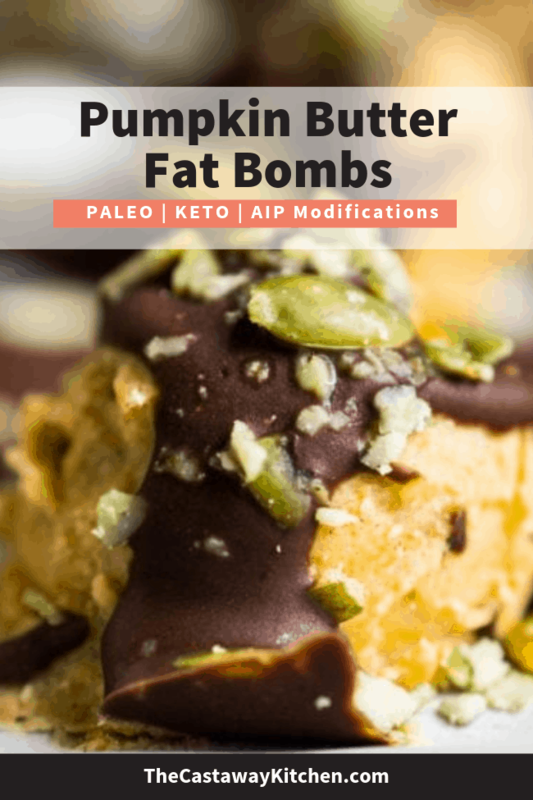 If you’re FULL BLOWN AIP, make the pumpkin fat bombs compliant by using the coconut butter. 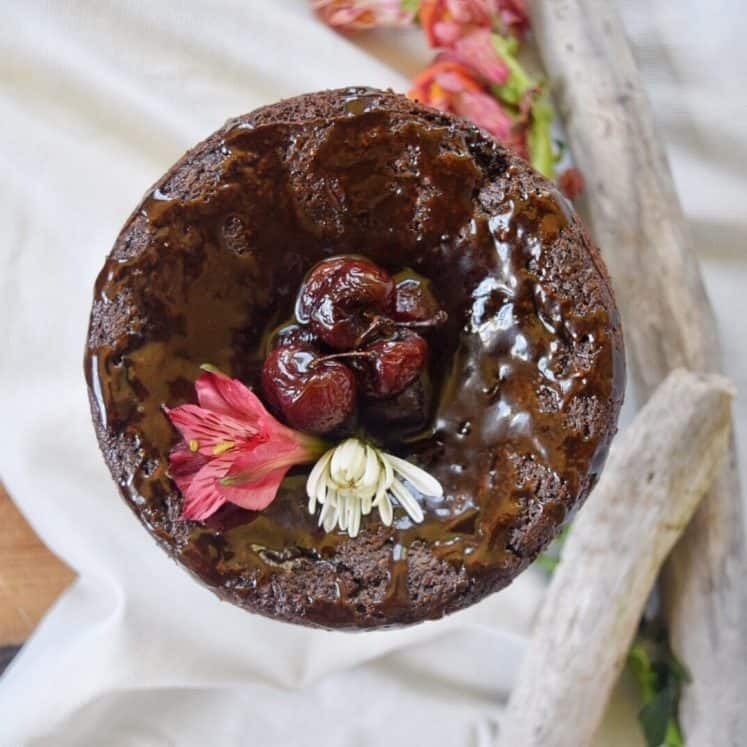 Instand of using chocolate, use equal parts carob powder and coconut oil to make the chocolate drizzle. Skip the pepitas. 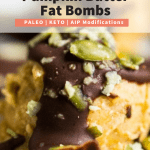 Chocolate Covered Pumpkin Fat Bombs: KETO, PALEO, AIP MODIFICATION. Can I get an Amen!? In a large bowl combine the softened butter, coconut oil, pumpkin, stevia, cinnamon, and salt. 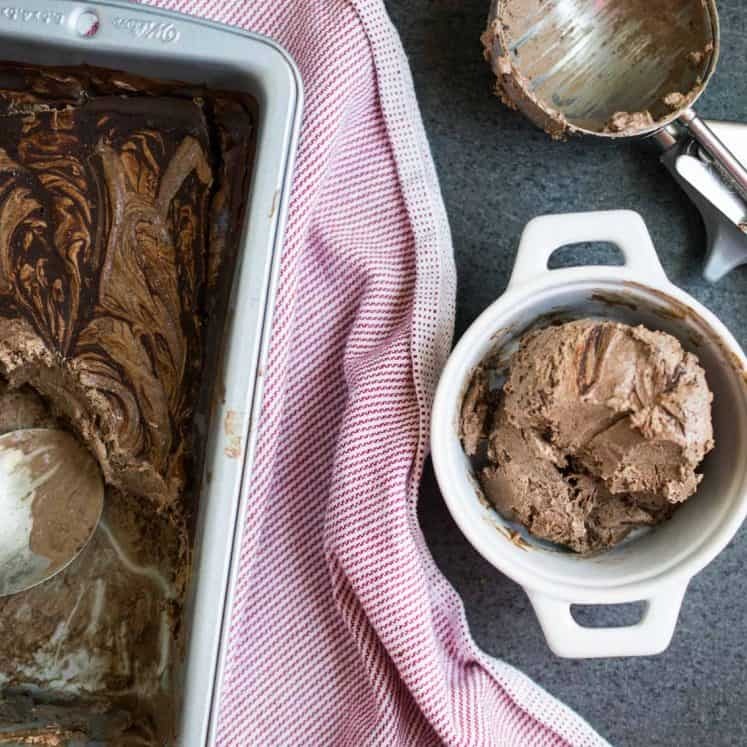 Use a hand mixer to combine until smooth and creamy. Set the bowl in the fridge for 10-20 minutes to thicken and harden a little. In the meantime chop up the chocolate bar and place it in a bowl. Microwave on medium power for 20-40 seconds until softened. Cover with plastic wrap or a plate and let it sit for 30 seconds. Then mix in the coconut oil and coconut cream and mix until smooth. If it becomes too thick, microwave in 10 second increments until it becomes fluid again. If you don’t use a microwave you can heat the chocolate in a double boiler, which is actually the best way to do it, just more work. Remove the pumpkin mix from the fridge. Prepare a plate or sheet pan with parchment paper on it. Use a small scoop or tablespoon to shape 12 little balls. Place them on the parchment paper as you go. Then with a spoon drizzle the chocolate mix liberally over the pumpkin balls. Remember you can be super cool and do spider shapes. If that’s your thing. Sprinkle the pepitas and salt all over. Set in the freezer to harden at least 30 minutes. Then break them apart (the chocolate will freeze together) and store in Tupperware in the freezer until ready to enjoy. Tip: Set them out for 2-3 minutes before eating so they soften to the yummy creaminess.